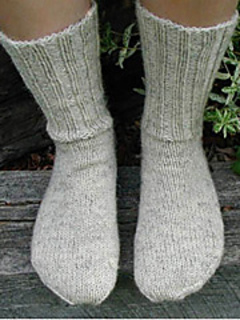 This top-down sock, with a 2x2 ribbed leg, features a shaping that fits the natural slope of the toes. Worked in DK weight yarn and sized for an average size woman’s foot. The toe shaping instructions in this pattern will work with any pattern that has 48 sts worked around the foot before toe shaping.